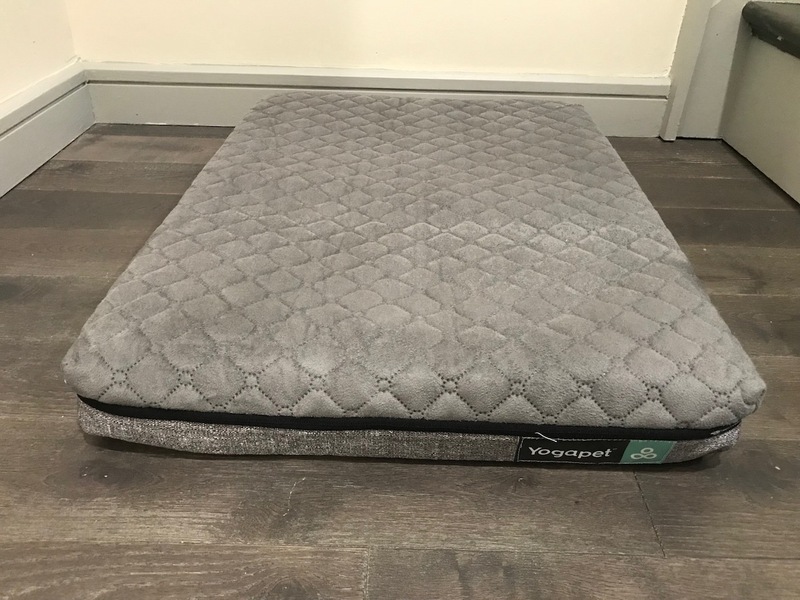 Marpac YogaPet Bed Review| Check out our review before you order! 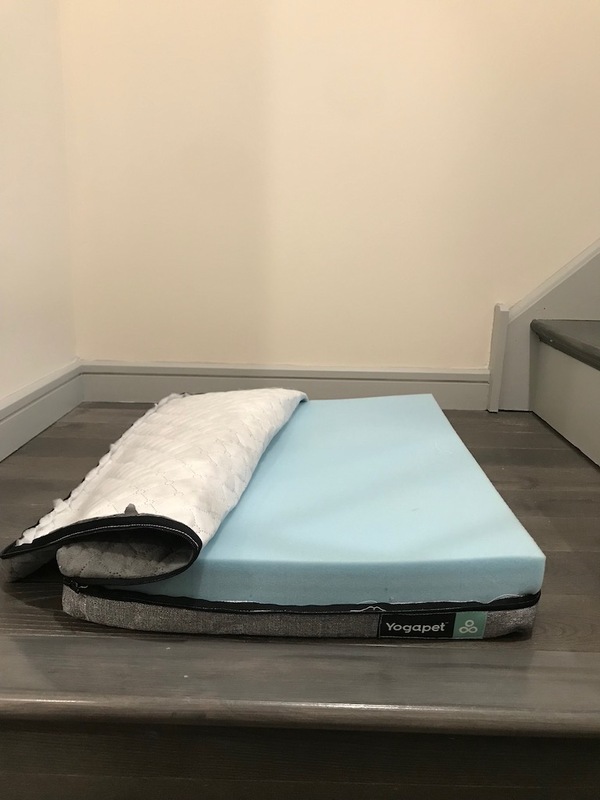 This Marpac YogaPet Bed Review was recently completed by the MattressJunkie.com team. 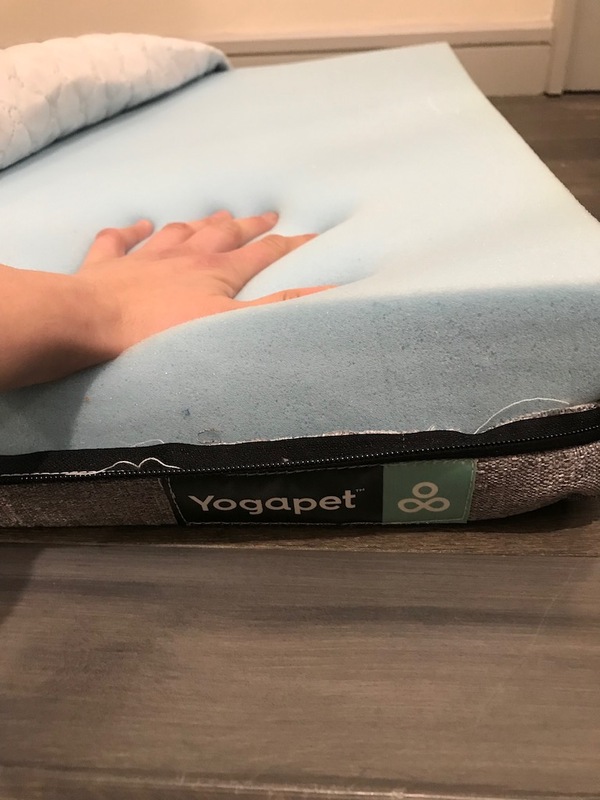 YogaPet is under the Yogabed line of sleep products that are owned by Marpac. Marpac is well known for its high quality sleep products including the Dohm Sound Machine line. Marpac’s Yogabed Collection includes the Yogabed Mattress in addition to bed frames, pillows, sheets, mattress protectors, etc. The YogaPet bed we received was in small. Check out more about the YogaPet Bed below. What size is the Marpac YogaPet Bed? The MarpacYogaPet Bed comes in small, medium, and large. These sizes are perfect for a small, medium, or large crate. Exact dimensions are below. What’s the Marpac YogaPet Bed made from? Marpac YogaPet Bed is made from 3 inches of instant response YogaFoam. YogaFoam sleeps cool and regulates temperature so you pet gets a comfortable and cool sleep surface. Tell me more about the Marpac YogaPet Bed cover. 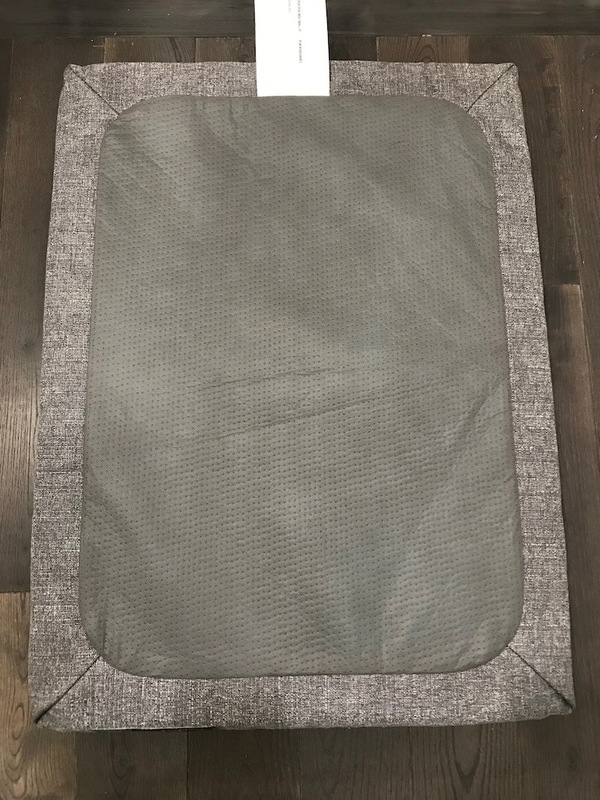 The YogaPet Bed cover is gray in color. Fully washable and removable, Zip-N-Wash waterproof, machine washable cover. 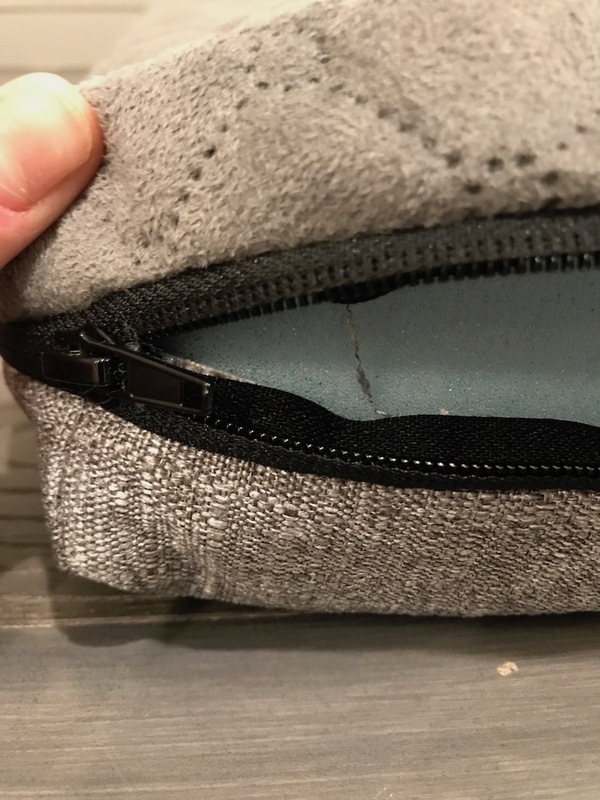 The bottom of the cover also has a non-gliding backing so it doesn’t slip around on the floor. How much does the YogaPet Bed cost? The YogaPet Bed costs $119 for small, $139 for medium, and $159 for large. The Marpac’s line of sleep products are known for being top notch for many years. Their YogaPet Bed is no different. The 3 inch instant response Yogafoam provides a plush sleep surface for your favorite fur baby. The non-slip bottom was also very convenient with my wild animal. Marpac YogaPet comes with a 1 year warranty on manufacturer’s defects. If you want to give your pet the same quality sleep surface as you, YogaPet Bed would definitely be a great choice. 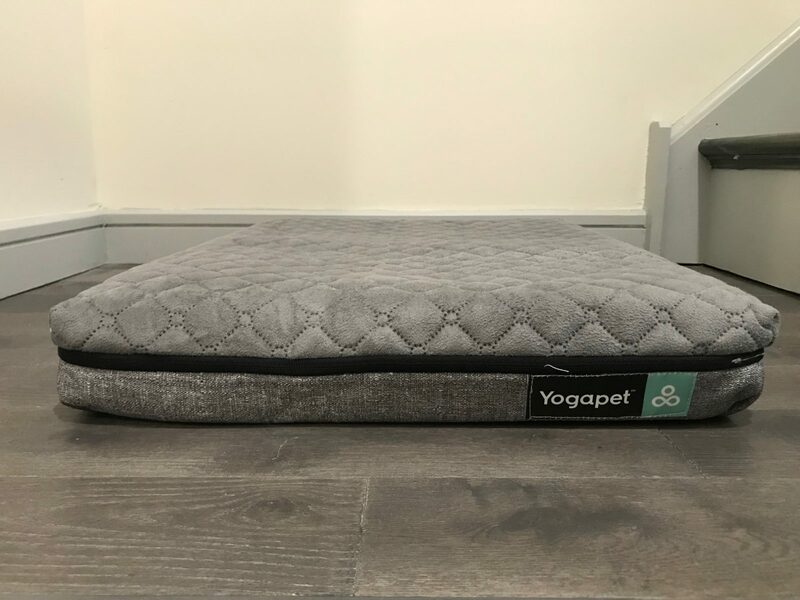 Order your Marpac YogaPet Bed here…..